thinking out loud: Why I’m changing up my approach to exercise right now and a few exciting things! But there were two other exciting things that happened over the past two weeks: I wrote my first article for AskMen.com (yes, I know it’s called Ask Men, but they have female writers too), so check it out if you want to know which pieces of Bri-approved home gym equipment you should get that don’t take up a ton of space and are relatively affordable. The second exciting thing was that I finally became an official member of Oiselle Volée! Last week I wrote about why we need to get obsessed with consistency and the actions that feed the goal instead of focusing so much on the final product when it comes health and fitness. So what are those little habits and actions we should be getting obsessed with in order to reach our goals? Obviously this is going to vary from person to person based on your past histories and current habits. But here’s my attempt at coming up with a general list of habits to work on changing and how you can start to take the steps to do that, based on some of the barriers I’ve seen with clients and some I’ve encountered myself. I’ve grouped them into three categories: exercise, nutrition and mental health, or what I like to call the Self-Care Trifecta. Getting a handle on these three things is a lifelong process, and sometimes I find we focus too much on one for too long while ignoring the others. Though balancing all three is a mighty challenge (and one I don’t think we’ll ever be able to do at the same time), having the Trifecta tip in three directions throughout your day, week or month is better than having it just topple over to one side completely. If you’re looking to start a fitness program or are wanting to shake things bit with your current workout routine, I have just the program for you! This 8-week strength training program I created is suitable for all levels and abilities, as you can modify it to make it easier or more challenging depending on your fitness experience. Homemade veggie and coconut prawn pad thai… takes less than 15 minutes and is much more nutritious/healthy than the take-out version! Happy Friday, friends! I’m linking up with the lovely Heather of Life in Leggings as per usual to share some of the most interesting health and fitness reads I found this week. And there were lots of them. You won’t find “chicken and broccoli” on any of my nutrition plans. Pad Thai? Yes. Beef tacos? Yup. Wine, chocolate and ice cream? That’s on there, too. Moderation, variety, planning and not beating yourself up if you “indulge” are key to a successful “diet”. 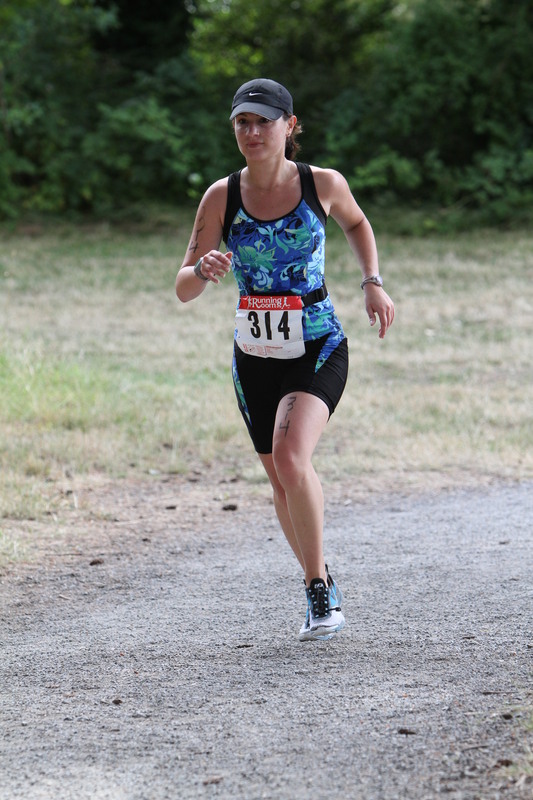 My long-term goal: Doing a triathlon. When I signed up, I didn’t even know how to swim. 15 simple steps? Losing weight isn’t easy like that. You’re absolutely right. Changing your body composition is not easy. Losing body fat and gaining muscle; getting stronger, faster and more flexible; and changing your habits to get there is HARD. And it can be even harder to know where to start. No matter where you’re starting from in your weight-loss journey (or body re-composition, as I prefer to call it) here are 15 steps you need to work through before you even buy that gym pass or start counting your calories. Is your FitBit making you gain weight?